FL Studio 12.4.2 is ready to download at the link below. This is a maintenance and bugfix update. As usual, this is a free update, enjoy! ZGameEditor Visualizer - New effect (scenes\RhodiumLiquidCarbon), shown in the image above. Saving and loading projects - Now faster. Shows progress while saving project. Bugfixes - Many! See here for the full list. 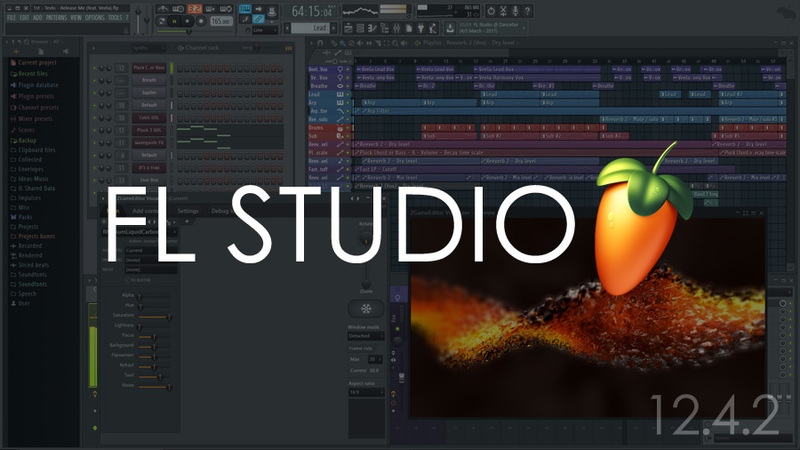 FL Studio is available in 4 editions: Fruity ($99), Producer ($199), Signature ($299) and All Plugins ($899 USD). See the Feature Comparison here. All editions come with Lifetime Free Updates because we believe you should get what you paid for updated and bugfixed, free for life. What about FL Studio for Mac OS X / MacOS? We are developing a native Mac version. It works and is in closed Beta available to registered FL Studio customers. See how we are progressing here. TLDR Summary? ASAP.